A lovely traditional shower head in a original Victorian style. 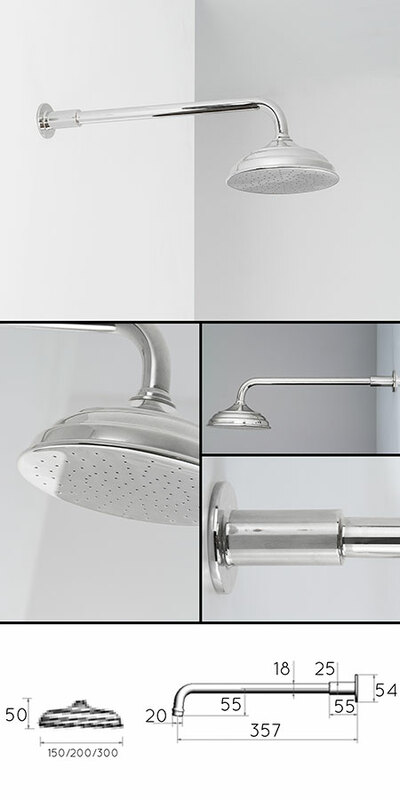 Each chrome shower head is designed to be wall mounted and includes the wall shower arm. Available in 3 round shower rose diameters all made in brass with a chrome plated finish.